I am attorney George B. Bishop, Jr., and I am fully committed to helping you and your family through what is likely the most difficult and serious legal challenge you may ever face. Dedicated to pursuing justice on behalf of those I serve, I provide high-quality, dependable legal counsel and advocacy to those facing serious criminal charges as well as to those dealing with personal injury and workers' compensation claims. From my law office in Moncks Corner, South Carolina, George B. Bishop, Jr., PA, I use the experience and knowledge I have gained throughout my more than 30 years of practicing law to deliver the most effective representation possible to clients throughout the South Carolina Lowcountry region, including North Charleston, Summerville, Santee, Manning, St. George and Goose Creek. When you work with my law firm, you can expect to receive the personalized attention and dedicated support your case deserves. I will sit with you and fully analyze your situation, so that I can offer the solid, practical legal advice you need to make the best informed decisions about the matters that affect your case, and I will remain with you throughout all legal proceedings to ensure the best odds of obtaining the positive results you expect. 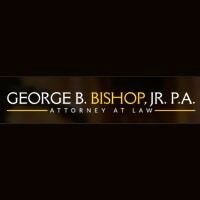 Whether you suffered an injury or loss as the result of someone else's negligence or wrongdoing or you need an effective criminal defense to help you fight the charges against you and preserve your freedom, you can trust George B. Bishop, Jr., PA, to protect your rights and entitlements while helping you secure a brighter future. For more information, you can contact me at my law office to schedule a free initial consultation.